U.S. Immigration Attorney MARINA SHEPELSKY has a deep-seated interest in the immigration and naturalization law and helping families, businesses and individual immigrants in realizing their dream of coming to America and legalizing their status in America. Now, more than ever, the American dream has become a very complex matter that requires knowledge, expertise and insights from long time practitioners of Immigration Law like Marina Shepelsky. Ms. Shepelsky was born in Kiev, Ukraine in the former Soviet Union. She immigrated to the United States along with her parents in 1989 when she was only 12 years old. She is fluent in the Russian and Ukrainian languages and is a fan of Russian literature. Ms. Shepelsky attended high school in Brooklyn, New York. She graduated from NYU College of Arts and Science in New York City with a Bachelor's of Arts degree in Biology, with minors in Chemistry and Linguistics, in the top 15% of her class. Ms. Shepelsky studied science and medical subjects as a college student. After discovering her talent and great interest in law, Ms. Shepelsky went on to law school. Ms. Shepelsky graduated from Fordham University Law School in New York City where she earned her J.D. degree in the top 15% of her law school class. She was an associate editor of the Fordham Environmental Law Journal. Ms. Shepelsky lives in Staten Island, New York. She is a mother to three girls, who hopefully will follow in her footsteps and become lawyers fighting for immigrant rights in United States. As a first generation immigrant herself, Ms. Shepelsky has a very clear understanding of the issues faced by her clients – she has walked in your shoes. Marina Shepelsky founded her practice, Law Offices of Marina Shepelsky, P.C. when she realized that there exists a strong need for expert and caring immigration lawyers with a deep understanding of the law and of people's problems in navigating the system. Ms. Shepelsky understands that immigrants need a lawyer who will be an expert in the legal field and can sympathize with their frustrations and problems with an insider's perspective. The U.S. Citizenship & Immigration Service (USCIS) is continually changing immigration laws and procedural requirements in areas including non-immigrant and immigrant visas, asylum, deportation, and removal issues. Immigration Courts have policies that are constantly changing. New regulations are shifting the landscape of Immigration Law practice and we follow along with the changes. 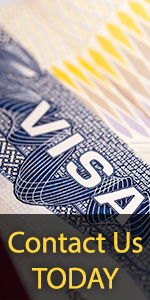 Your immigration case needs to be handled by experienced and skilled attorneys. Law Offices of Marina Shepelsky, P.C. 's attorneys will happily help you with all your immigration needs and give you the personalized attention and respect that you and your family members deserve. • Fordham University Law School – J.D. Let us help you succeed in America!